Finding a high quality whey protein powder that is not filled with sugar and/or artificial sweeteners is near impossible. 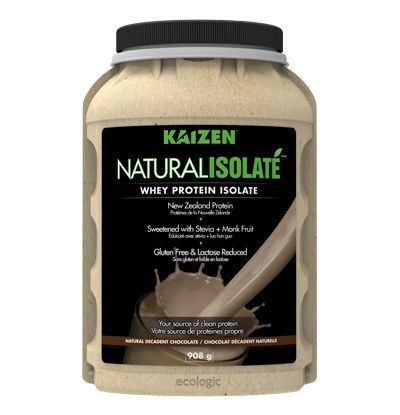 It is difficult enough to find a protein powder that uses top quality undenatured whey protein isolate, when you do, chances are it is loaded with sugar, carrageenan and other harmful ingredients. If you are just looking for a protein load this is fine, but if you are trying to reap any further health benefits you will have to look harder. 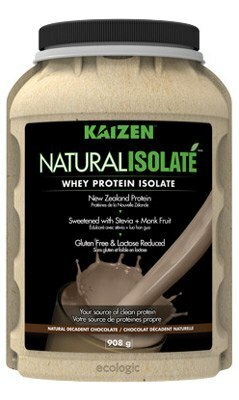 Fret not, we have found a remarkable undenatured whey protein isolate manufactured in Canada and sourced from New Zealand, Kaizen® Naturals. One of the purest whey proteins we have ever seen, and it is delicious to boot. In a single serving (1 – 30 gram scoop) there is 25 grams of protein and only 1 gram of sugar. Making it the perfect choice for protein packing as well as boosting your health. If you are sourcing your whey protein from a company that uses top quality undenatured whey protein isolate, you are not only getting the benefit of increased protein in your diet; undenatured whey protein is one of the best ways to help improve Glutathione production in the body. Providing the body with essential building blocks to synthesize our master antioxidant – Glutathione. We suggest directly supplementing your Glutathione levels with Acetyl Glutathione as well as the precursors like N-Acetylcysteine, R-Alpha lipoic acid, Silymarin and B Vitamins. 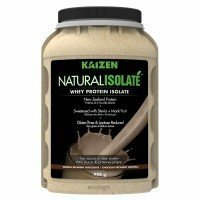 If you can incorporate a high quality whey protein isolate into your diet as well, you will be setting yourself up for great health for many, many years to come! The fine folks at Kaizen® just seem to get “it”. They prioritize quality and health above all else, using top quality ingredients and keeping it simple. The end result is a great tasting whey protein that isn’t loaded with unnecessary and often harmful ingredients. Sourcing their whey protein from New Zealand, they offer Grass-fed cow whey protein, No hormones, No GMO’s and no Pesticides. They even take the initiative to go with a greener packaging approach, using the first compostable protein bottle. Take a look at their site and figure out where the closest retailer is for you. You will not be disappointed!